This guide is intended to provide an introduction to the objectives and process of a Management Buyout. It highlights some of the similarities and the differences between an MBO and an arm’s length corporate sale or acquisition. This guide should not be relied upon as legal advice and you should contact us for advice on your specific circumstances. A management buyout (MBO) is the process whereby the management of the target company (MBO Team) purchases the issued share capital (or the assets) of that company (target), often through a holding company (Newco). The MBO Team is usually comprised of some or all of the target company’s directors but it is not uncommon for senior employees to be involved as well. The following diagram provides an illustration of how the transaction could be structured. It is vital to have experienced lawyers, accountants and maybe corporate finance specialists on board as early as possible in the process. Don’t be enticed by low fee estimates as very rarely does cheapest mean best and, in the long run, you will inevitably lose more than you have saved on fees. With your advisors you will need to consider how the deal will be structured. Will Newco acquire the issued share capital of the target or just its assets? There are advantages and disadvantages to each approach and for more information click here. We can help you consider the best way forward. Of equal importance is establishing how the transaction will be financed. The transaction may be financed by the MBO Team personally, a separate ‘private equity’ investor, a loan from a bank or a combination of any of these. If part of the funding is to come from equity finance (which may be unlikely in smaller deals), it is important to consider the extent to which shares in Newco will be issued to the finance provider, if at all. Shares will often be the means by which the investor seeks a return so, to an extent, issuing shares to someone outside the MBO Team may be unavoidable. However, a careful balance will have to be struck by the MBO Team if they are unwilling to give up control of Newco. If seeking investment in this manner, it will also be important for the MBO Team to prepare a business plan for the target as, commonly, it will be this that attracts the investor in the first place. A bank loan will often form the bulk of the finance for the MBO. Often this will be secured over not only the assets of Newco, but those of the target as well. In such circumstances, if Newco is purchasing the shares of the target, the target will be providing ‘financial assistance’ for the purchase of its own shares. 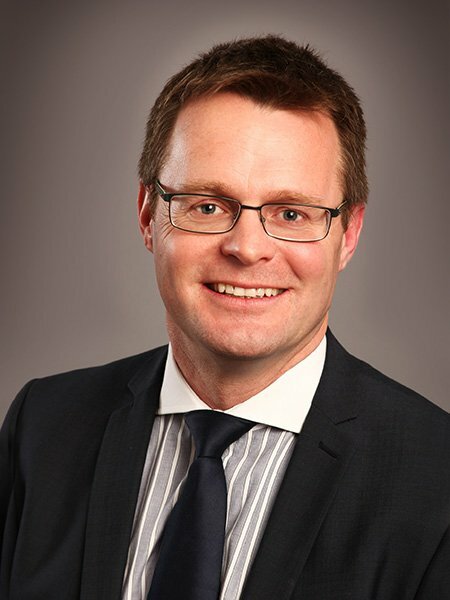 While the prohibition on private companies providing financial assistance was abolished on 1 October 2008, whether the target should provide such assistance is a matter which will need to be carefully considered in its own right. (for more information click here). Depending on the sums lent, the bank will almost certainly require individual members of the MBO Team to provide personal guarantees and security over their personal assets. Who will be the first directors of Newco? What will Newco’s authorised and issued share capital be? 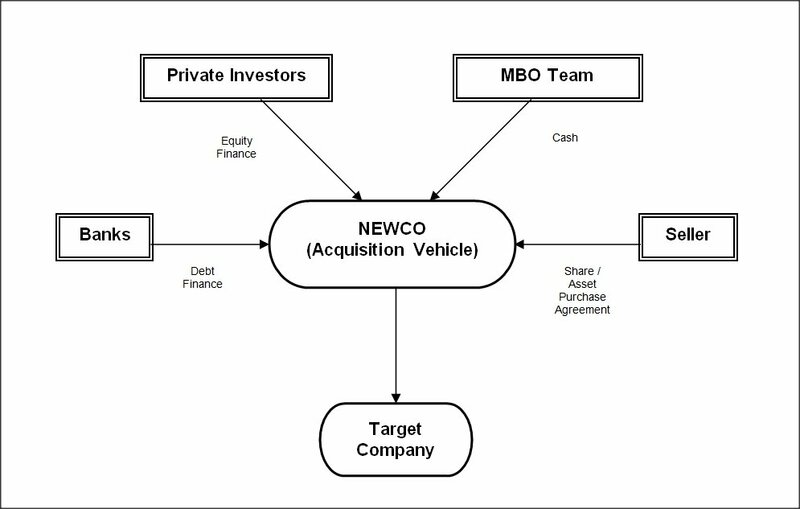 Will all members of the MBO Team hold shares in Newco? In what proportions? How much will they be required to contribute personally? What form with the articles of association take and will there be a shareholders agreement? Full advice on the tax implications of the MBO should also be taken at the outset and throughout the transaction. Often a key stage of any share or asset purchase, the MBO Team will need to carefully consider the extent, if any, of the due diligence exercise to be undertaken. Due diligence can cover financial, commercial and legal issues so it is important that careful consideration is given to the exercise, especially into areas in which the MBO Team may not have full knowledge, for example, the corporate structure and finances. Whilst the MBO Team may have been operating the business, they may not be aware of every aspect of the target. Any outside investors are likely to insist on a full due diligence exercise so they can properly highlight areas of risk and consider the current and potential state of the target company. Negotiation of the legal documentation including the question of warranties will usually begin once the due diligence is complete. When undertaking an MBO this can often be the most contentious issue as the seller, who may only have been a shareholder and therefore not directly involved in the business, will not want to give warranties. They may also argue that as the MBO Team have been closely involved in the day to day running of the target company, no warranties (except as to the seller’s ownership of their shares) should be given. This often results in the warranty protection given to Newco being significantly lower than a purchase between arm’s length parties. If warranties are given (for example, because an investor insists), it is common for the sellers and the MBO Team to be jointly and individually liable to Newco for any warranties that are given. If the MBO Team is required to give warranties, full consideration should be given to their scope and any time or financial limits on claims that can be brought. Share / Asset Purchase Agreement. A Tax Deed / Covenant which is aimed at ensuring the selling shareholders are liable for of any pre-completion (or pre-accounts date) tax (often resisted by any sellers who are not members of the MBO Team). An investment agreement for a third party investor or the MBO Team themselves. Contracts of employment / service agreements for the directors of Newco. Documents dealing with the transfer of any intellectual property, land, employee pension schemes and the assignment of contracts from the target to Newco. All or some of these may not be required on a share purchase, depending on the in whose names such assets reside. A shareholders agreement (see below). This is the final stage of the buyout process. Will it be simultaneous or will there be a delay between exchange and completion? This is often dependant on any consents that need to be obtained (for example, from a landlord) or conditions imposed by a lender that need to be satisfied. All relevant documents will be signed and the acquisition of the target company (or its assets) will actually take place. There will be a number of post completion matters which will require attention such as ensuring all necessary filings are made at Companies House. If relevant, it is also important that all registries are notified of any change in the ownership of assets such as land or intellectual property. When the transaction is a share purchase, the stock transfer forms should also be submitted to HM Revenue and Customs, so the appropriate amount of Stamp Duty can be paid. We would deal with all these matters. The shareholders of Newco should also carefully consider having a shareholders agreement. This document may include provisions restricting shareholders selling their shares without offering them to other shareholders first; provisions protecting minority shareholders; and provisions where, in certain circumstances a member will be forced to sell their shares to the other members of the MBO Team, which are known as ‘Good Leaver’ (for example, where a shareholder has died) and ‘Bad Leaver’ (for example, where a shareholder is convicted of a serious criminal offence) provisions. Preparation of this document is something else that we can help you with. Preparation of this document is something else that we can help you with. We have prepared a checklist of things you may want to include in this agreement. Please click here. An MBO is complex, and it should not be treated differently simply because the MBO Team have been involved with the management of the target company. Gaby Hardwicke can assist you with all legal elements of the transaction to ensure it proceeds as smoothly as possible.